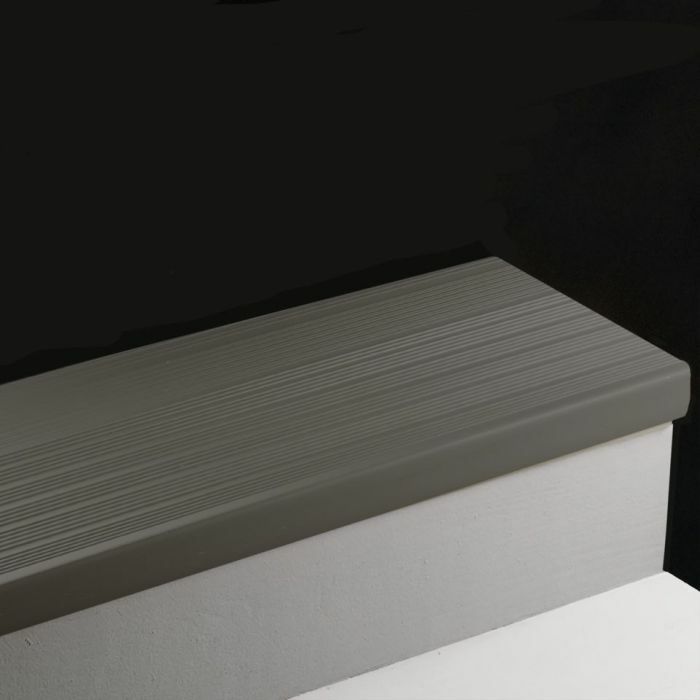 Safe-T-Rib Vinyl Stair Treads, 2" hinged square nose (Sq) configuration, 1/4" to 1/8" tapered 12-1/4" tread depth. Available in 3', 3.5', 4', 6', 8' and 12' lengths. 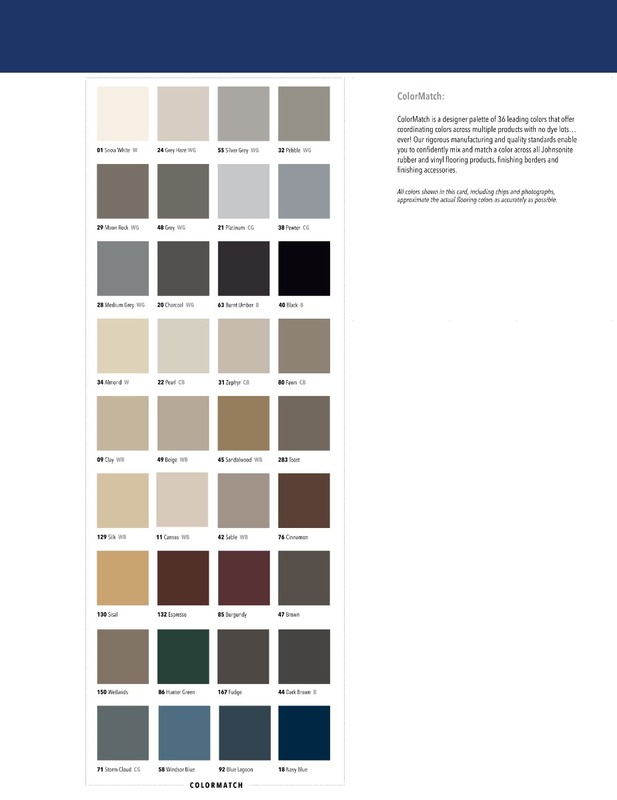 T4F Stocked Colors: 4' Lengths - 40 Black, 47 Brown & 49 Beige. Non-stock sizes/colors are available by special order and usually ship within 5-7 business days. Vinyl stair treads are a more cost-effective stairwell solution. Available in a wide range of colors in 3', 3.5', 4', 6', 8' and 12' lengths. 1. Conventional Method: Use 965 Flooring and Tread Adhesive plus 930 Two-Part Epoxy Caulking Compound for the nose. 2. Power Tape Method: Use the Power Tape plus 930 Two-Part Epoxy Caulking Compound for the nose. Secure the nose to the stair pan with the Power Tape. Non-stock sizes/colors are available by special order.